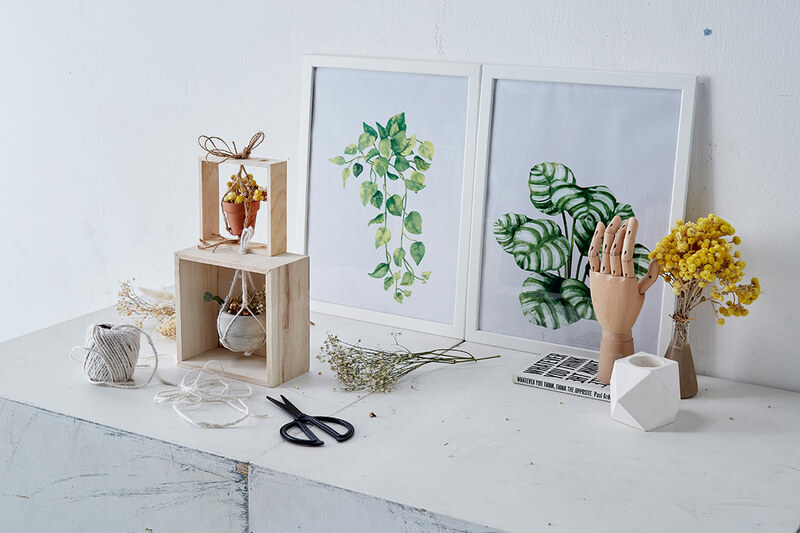 Take some time off from your busy schedule to create these chic objects to beautify your space. 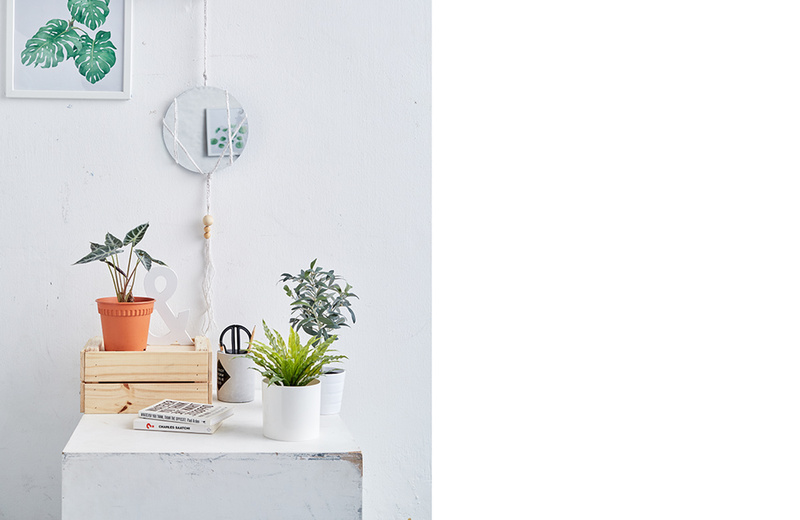 These cute mini macramé planters will let you grow your plant collection without cluttering up your tabletop. To make, cut out eight pieces of rope or string to your desired lengths. Then, knot them over a loop for hanging. Move down the length of two strings and tie a knot. Move down 1 to 3 inches and connect the string to another and make a knot to form a diamond. Create enough diamond shapes so that the strings can comfortably support your planter. Then, knot all the strings together to form the base. Keep your (lightweight and unbreakable) decorative objects off the floor with this suspended side table. Using two pieces of long ropes, create a cross and place a round wooden plank at the intersection. This will be the support for the plank, and you can secure the ropes in place on the underside of the plank with glue. 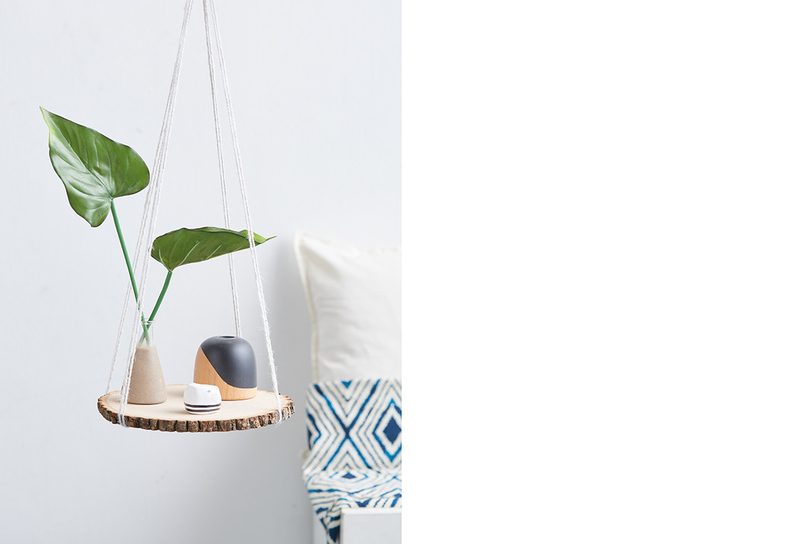 After placing the plank, bring the four sides of the rope together and knot them together before hanging the entire suspended table on a hook attached to the ceiling. This easy macramé project lets you upgrade your existing mirror in less than 30 minutes. Cut three pieces of rope into 3-metre lengths. 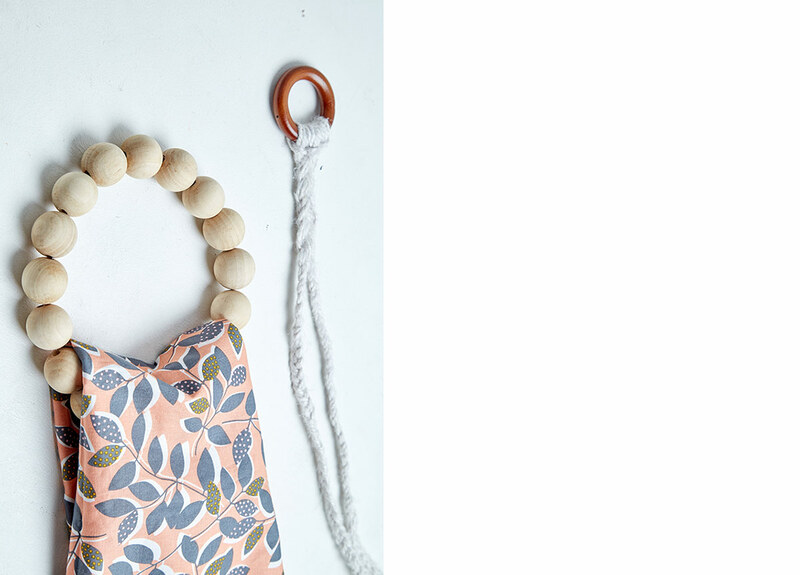 Attach them to a wooden ring by making a loop. Braid each section of the rope until you get at least 10-cm of braids and tie a knot at the end of each braid. Wrap the braids around the mirror, creating a pattern that you like. Once the mirror is wrapped up, attach some wooden beads at the bottom end of the braids. Why settle of a plain metal loop when you can take it to the next level? To make this, simply string along some wooden beads onto a round wire frame.